For those who have read this blog or who know me personally, it is extremely clear that I am close to my family. This might stem from the fact that I am an only child. However, I attribute it to something else: I grew up with an understanding of the fragility of life, and thus, treasured each moment I had with my parents. The summer when I turned eight years old, my mother entered into the hospital for procedures to make her better. From my child perspective, I did not understand exactly what was going on, but I became more and more worried when a few days spending the night with my grandparents turned into a week, and then turned into an indefinite amount of time. I felt mindless with worry – distraught to the point that all I felt like doing all day was watching cartoons. Even when my mother finally came home, it was not the same: She had lost a ton of weight; she could not eat; she stayed in bed most of the day. As she began to recuperate and as I grew older, I understood that time was precious and that there were very few issues which are truly worth arguing. That being said, my parents and I really do not have anything over which to argue. They have allowed me to develop as my own unique person. I grew up in a world without the pressure of social conventions. When I listened to opera and no one else did: it was everyone else’s problem. When everyone else had a boyfriend and I did not: it was everyone else’s problem. When I felt stagnated attending private school after my 9th grade year, they went against all social conventions (and against the advice of many family members and friends) and permitted me to become home-schooled and to engage in two years of blissful self-learning. I guess the reason why this is on my mind is that I will be graduating this year. Once I leave for my Barcelona/Berlin adventure in January 2013, I have no idea when I might return home or for how long. And when I think about it, I am not sad, but rather, eternally grateful for everything which my parents have provided me – most importantly, the flexibility to develop as my own person. 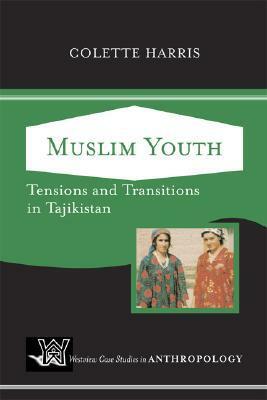 This feeling of gratitude overwhelmed me when I read Colette Harris’s “Muslim Youth: Tensions and Transitions in Tajikistan.” One interesting aspect of this book is that the author writes short narratives based on the lives of the people whom she encountered while researching and living in Tajikistan. As the author is a woman, most of the stories she highlights are the stories of women. Reading these narratives, I was struck by the constraints which they faced – constraints based on social conventions, lack of education, limited economic opportunities, etc. Living in a society influenced by both Islam and Soviet rule, these women of Tajikistan face an extraordinary lack of options. I purchased this book because it seemed the only book available on Tajikistan that was within the price that I was willing to spend and was not too long (after all, I have another 150+ countries to go.) The cover was not promising to be an interesting read. However, once I received the book, I was enthusiastic to learn that is was published by Westview, the same publisher of the book about Qatar, which I read and enjoyed. Once I started the book, I was surprised by how quickly and smoothly it read. Fragmented Identities: In order to discuss the changing identity of Tajikistan in the last 100 years, the author shares the story of an elderly woman who remembers life before the Bolshevik rule. The Russian Empire began its conquest of Central Asia during the late 1800s, however, with Bolshevik control, women were forced to dramatically change their identities. Where before most Tajik people lived in accordance to the Islamic law of sharia, new laws “declared many local customs illegal and pressuring veiled women, found mostly in Uzbekistan and Tajikistan, to show their faces in public.” (page 37) Women were also encouraged to work alongside men. This sudden change of identity left a gaping hole in many women’s personal identities, thus creating an unstable situation on which Tajik youth to build their identities today. Education: I was struck by the way the education system was described in the book. 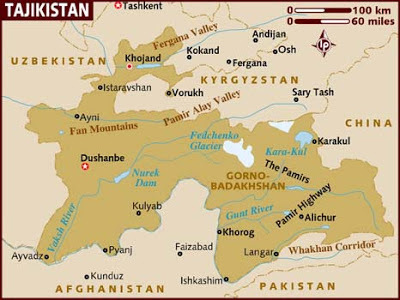 For many years, Soviets saw education as a means by which to assert control over the Central Asia regions, thus providing them with curriculum which reinforced Soviet ideals. However, the author describes modern education, especially the university system, essentially worthless and corrupt. Selling of university degrees is a common practice. Even if students show up to class, they may not even be taught up-to-date information. (She notes that the textbooks of the university economic department are from the Soviet era and do not teach about the market economy.) However, she notes an even deeper problem in education: collectivist versus individual identity. She states: “For Tajiks, on the other hand, membership in their collectives, of which the most important are family and region of origin, is crucial for their personal identity.” (page 91) While most modern education systems (including the Soviet system) focus on individual work ethic, they have thus been unable to penetrate the Tajik society.